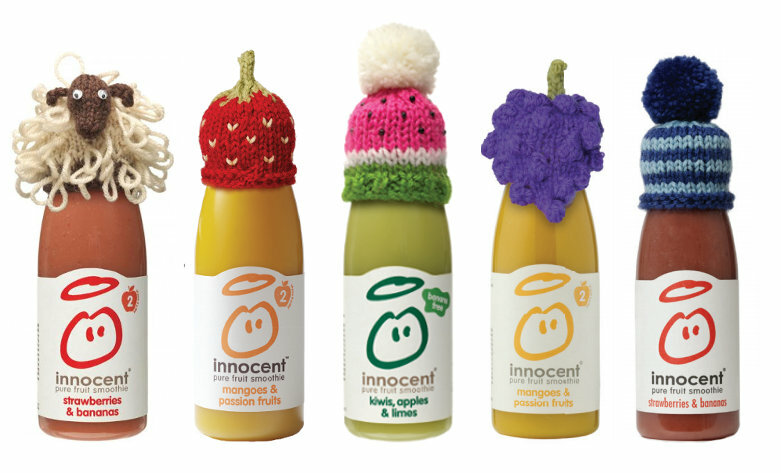 Every Winter for the past 10 years, Innocent Smoothies have raised money for Age UK by selling smoothies sporting little hand-knitted hats (25p from each hatted bottle is donated to the charity). Here at McAree Brothers, we love the idea of a quick and easy knitting project having such a positive impact and have been busily stitching away to knit up as many hats as we can to donate to Innocent Smoothies. There are some great free patterns available on their website for the basic hat, as well as fruity and sheepy adaptations. We've been knitting ours using odds and ends, as well as Patons Fab DK, which is perfect as it comes in 25g balls. The 10" Brittany knitting needles are particularly handy as they are nice and short - no long or unwieldy needles to wrestle with here! 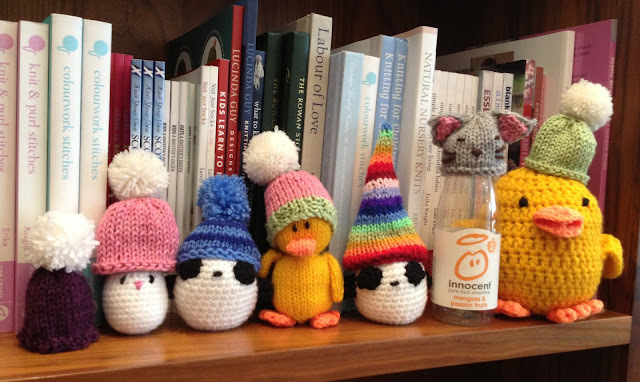 If you fancy knitting some hats, you can send them directly to Innocent Smoothies (address here), or you can drop them off at one of our shops to be added to the gallery. We'll then send off all of the donate hats in a big package (which will save you money on postal charges).